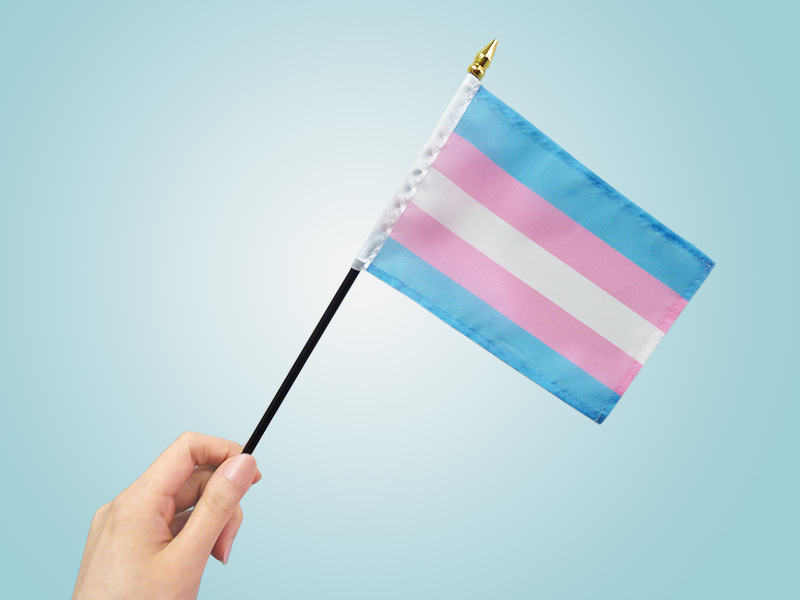 Show your support and inclusion of the LGBT (lesbian, gay, bisexual, and transgender) community by flying a Transgender flag. Made in Canada by The Flag Shop. 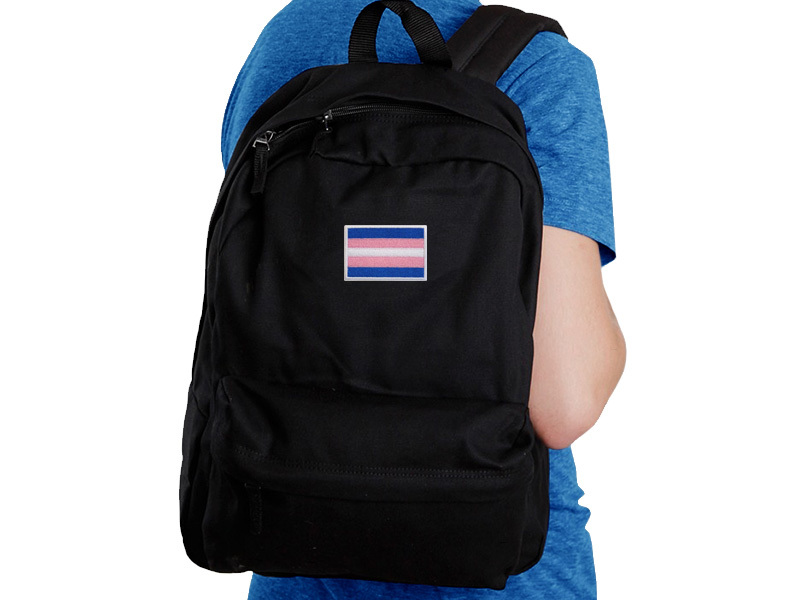 The Flag Shop carries a variety of transgender products as well as our regular pride-themed products from flags and pins to decals and windsocks. We can also provide other custom transgender products. Contact us for more information. 3/4″ x 18″ double sided Transgender lanyards with break-away and J-hook attachment. Made exclusively for The Flag Shop. These are high quality, ribbon-like pride lanyards printed on polyester with a satin feel. Lanyards can be used as ID holders, name badges and key card holders, cell phone straps, key straps, and neck wallet straps. 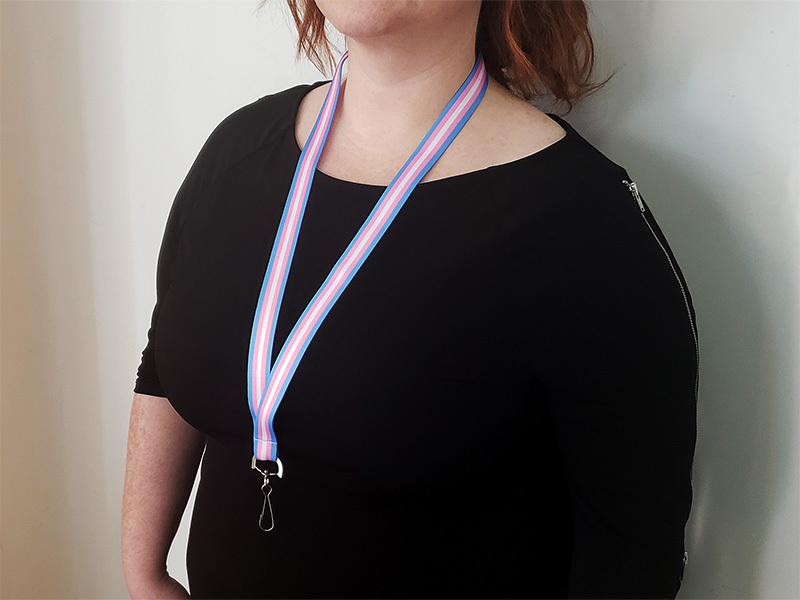 These Transgender lanyards are fun to have for various events, pride parades, and any pride celebrations. You can also order over the phone by calling 1-800-663-8681, or in-store at The Flag Shop nearest you. 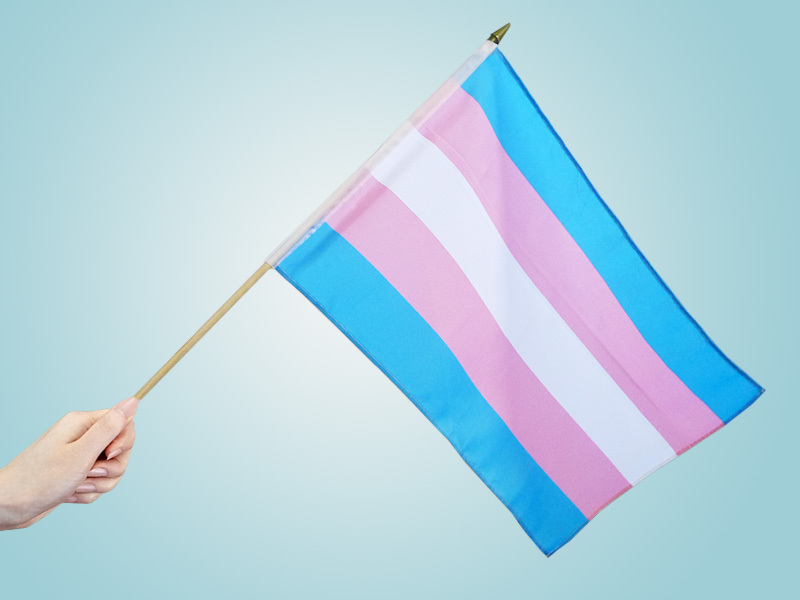 2 sizes of Transgender stick flags available. 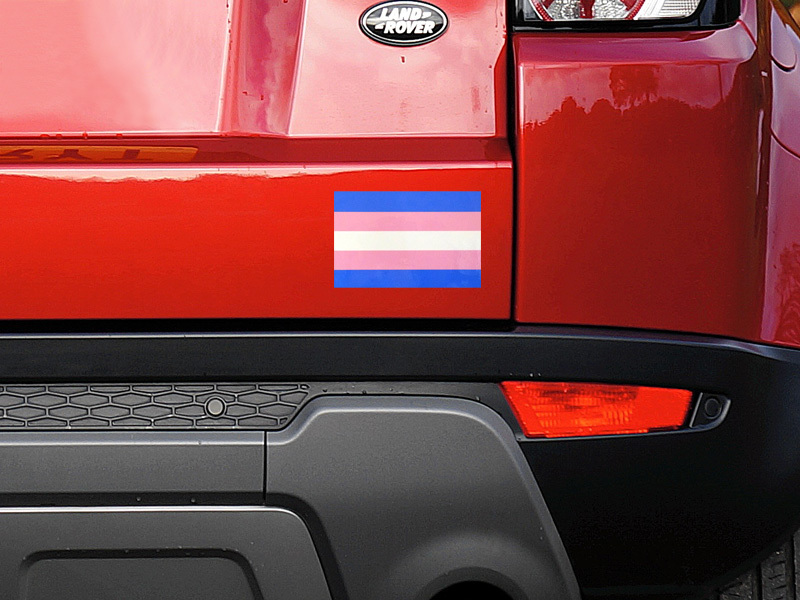 3.25″ x 5″ high quality, durable, self adhesive vinyl Pride decal. This high quality embroidered crest can be sewn or ironed onto any fabric. It also looks great on a jacket, hat, backpack, camera case, or a tote bag. Crest Size: 1.5″ H x 2.5″ W.
1.5″x1.5″ heart-shaped, temporary Transgender Tattoo. Made exclusively for The Flag Shop. Made with non-toxic inks containing pigments certified by the FDA for use in cosmetics, our temporary tattoos are safe to apply on the skin for both adults and children. Temporary tattoos can last up to 5-7 days* (*with care). New to The Flag Shop. Made of 100% silicone, these high quality Transgender silicone bracelets are 7.5″ long (circumference), 2.5″ in diameter, and 1/16″ thick. The silicone bracelets are CPSIA, RoHS, and CE certified (Also passed SGS test). 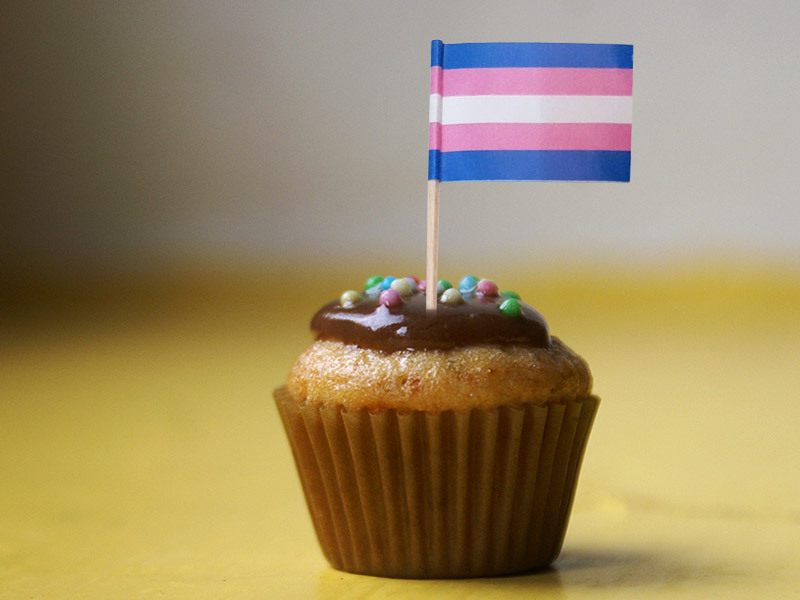 Transgender toothpick flags. Each package has 50 toothpicks and each flag is approximately 1″ x 1.5″, on a 2.75″ toothpick. SGS certified and FDA approved for food contact. Made in China. Order quantity discounts available, contact us for details. 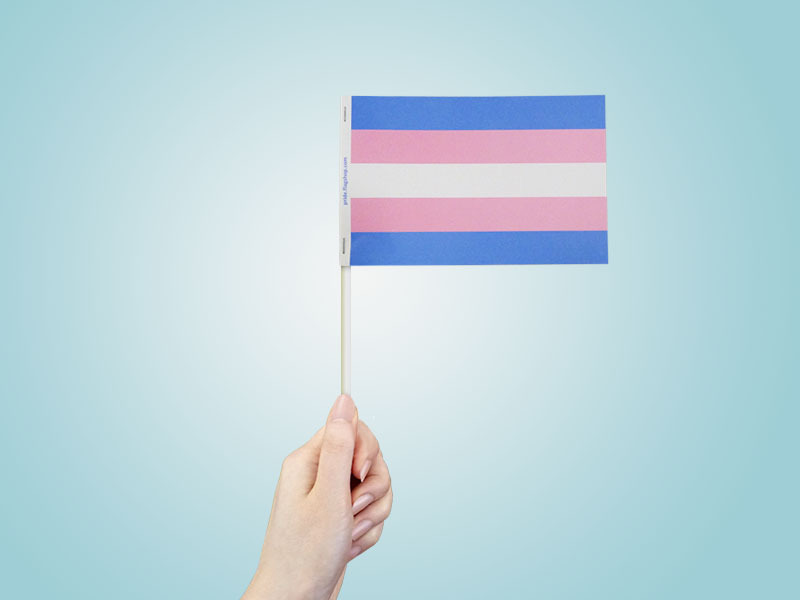 4″ x 6″ Transgender paper stick flags. Printed on 100% recycled paper and stapled on 9.5″ white paper stick, these pride paper stick flags are environmentally friendly and are recyclable after use. Made in Canada by The Flag Shop. 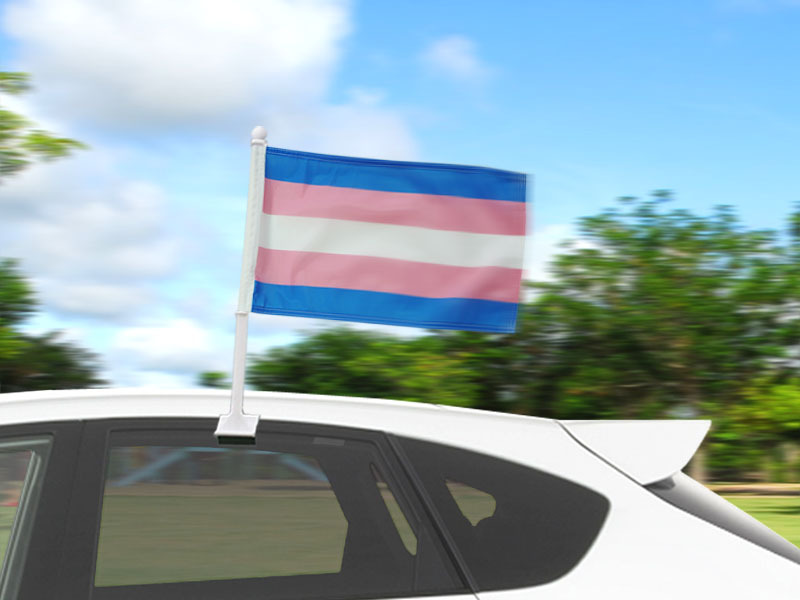 12″ x 18″ Transgender car flags. Printed on knitted polyester, the ideal fabric for moving vehicles. The white window pole and clip are made of plastic, strong enough to be used on the highway. These car flags clip nicely onto most car windows. 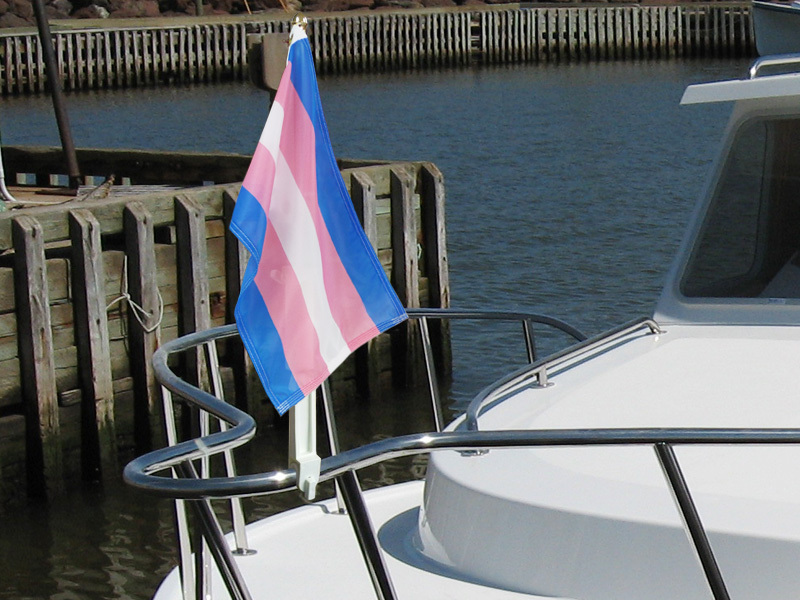 12″ x 18″ Transgender Boat Flags, digitally printed on knitted polyester (polyknit), the ideal fabric for moving vehicles or boats. Great for both indoor and outdoor use. Made in Vancouver, Canada by The Flag Shop. Boat flagpoles and other flag hardware are also available, sold separately. 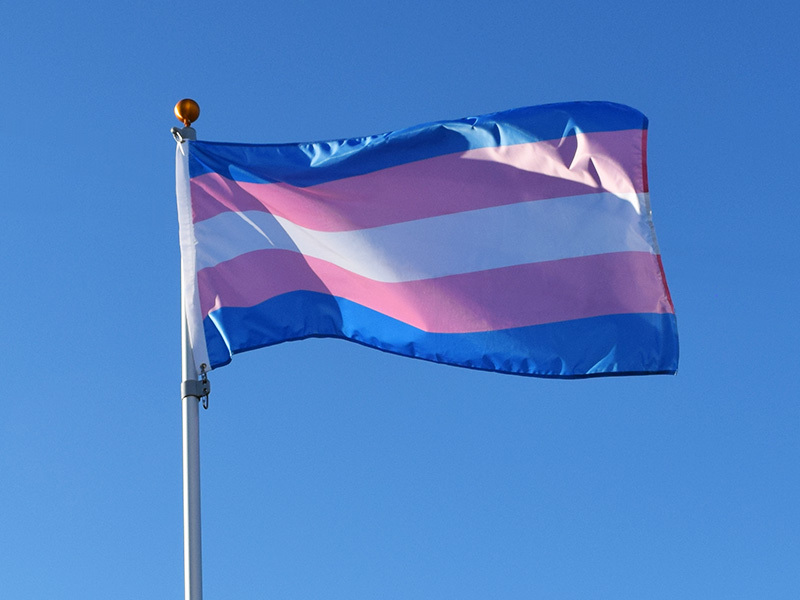 Show your support and inclusion of the LGBT (lesbian, gay, bisexual, and transgender) Community by flying a Transgender flag. Made in Canada by The Flag Shop. 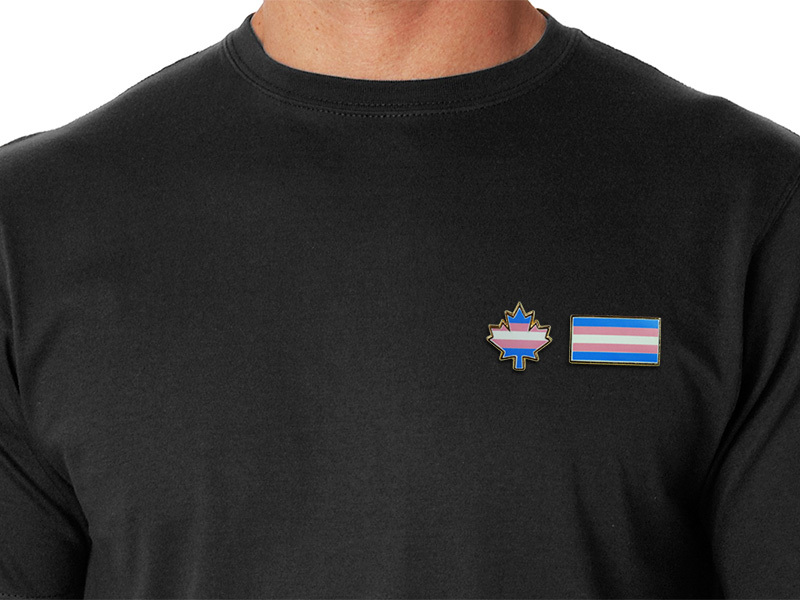 Two Transgender lapel pins available, 0.5″ x 1″ pins and 3/4″ maple leaf pins. Quantity discounts available. Made in Canada. 1.5″ digitally printed round Transgender buttons, laminated with safety pin backing. Made in Canada.